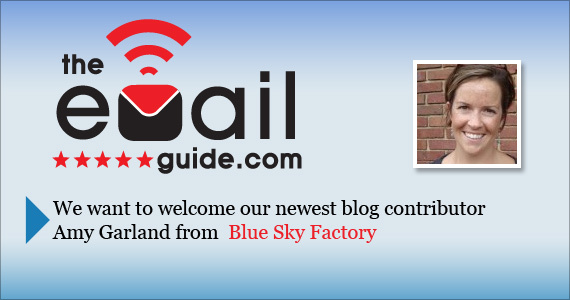 Welcome Amy Garland of Blue Sky Factory to our blog team! 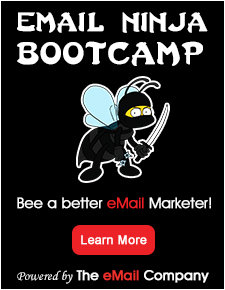 Old unca Jimmy has been a bit lax in welcoming all the new bloggers to The eMail Guide team! We’ve had a bunch of new blogging stars join up and I just simply let it slip. I’d like to apologize for this to all the great bloggers who I haven’t yet welcomed. Today, I’m starting to catch up by welcoming one of my favourite Tweeple: Amy Garland from Blue Sky Factory! Amy Garland is the marketing manager at Blue Sky Factory, a Baltimore-based email service provider. With 6+ years experience in the marketing industry, Amy’s favorite part of her job is writing, whether it’s for emails, blogs, or any and everything else having to do with online marketing. Be alert! She tries to fit a pop culture or music reference into almost every post! Amy has an easy reading style and her bright and sunny personality shines through in every post! We are extremely pleased to have yet another member of the email and social marketing brain trust @ Blue Sky Factory, on our team! A belated, but very enthusiastic welcome Amy! Check out this great article from Amy!